I don't know about you but I cannot believe the summer is almost over - seriously, where did it go? 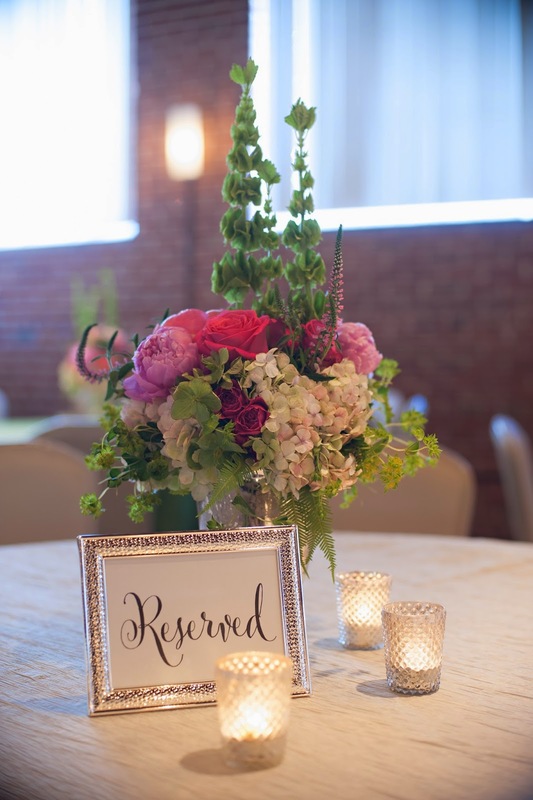 To make myself feel better, I'll share some beautiful photos of a spring wedding I did. 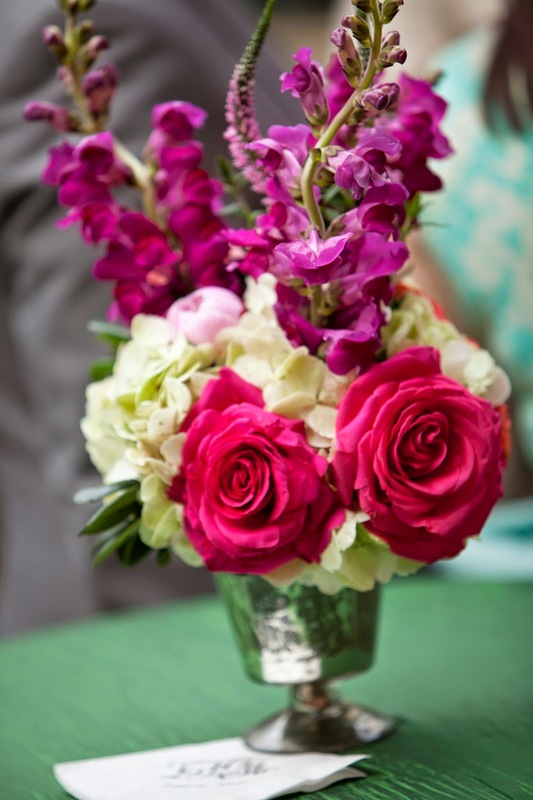 These bright, beautiful flowers and happy couple will make you forget that summer is coming to a close! 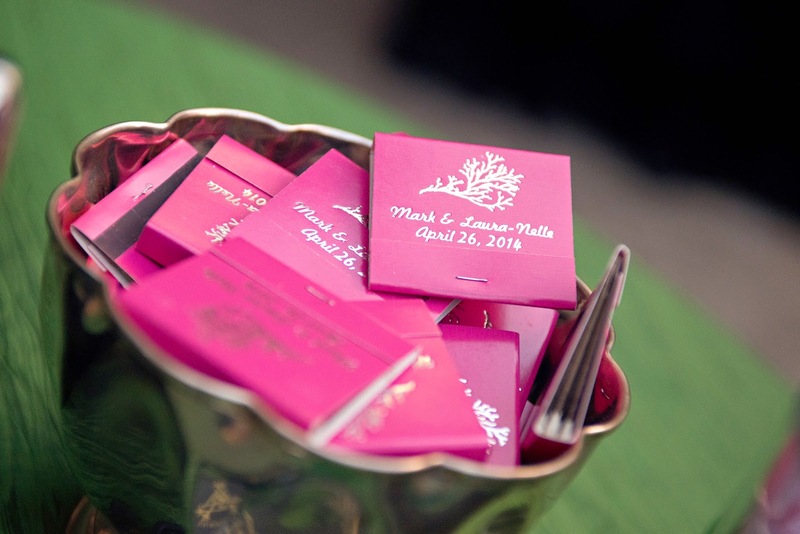 Mark and Laura-Nelle were married in April and had a southern wedding complete with monogram-heavy details and gorgeous flowers. 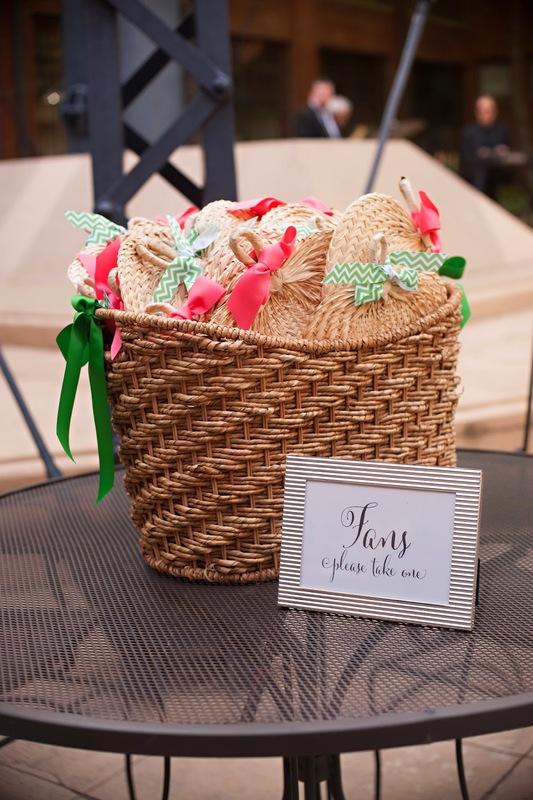 All photos taken by Stephanie Chesson Photography. 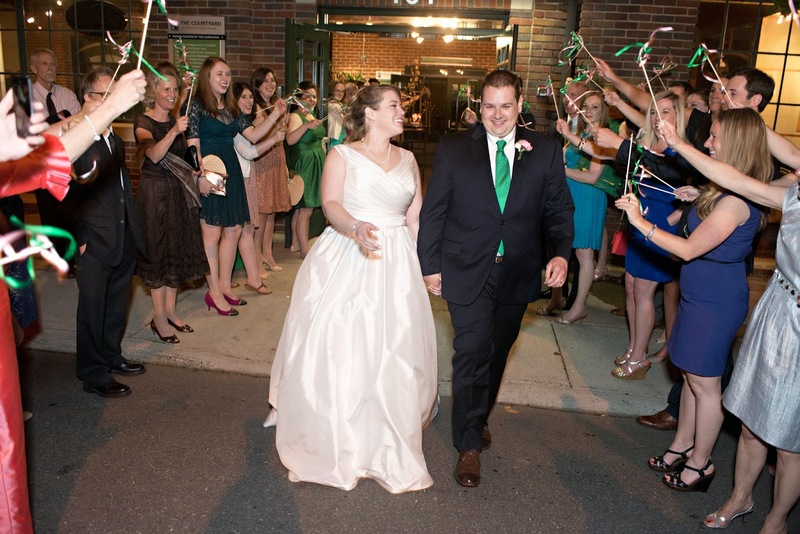 Their wedding was at the always superb Byrons South End. Cocktail hour was in the outdoor courtyard and the champagne was a-flowin'. 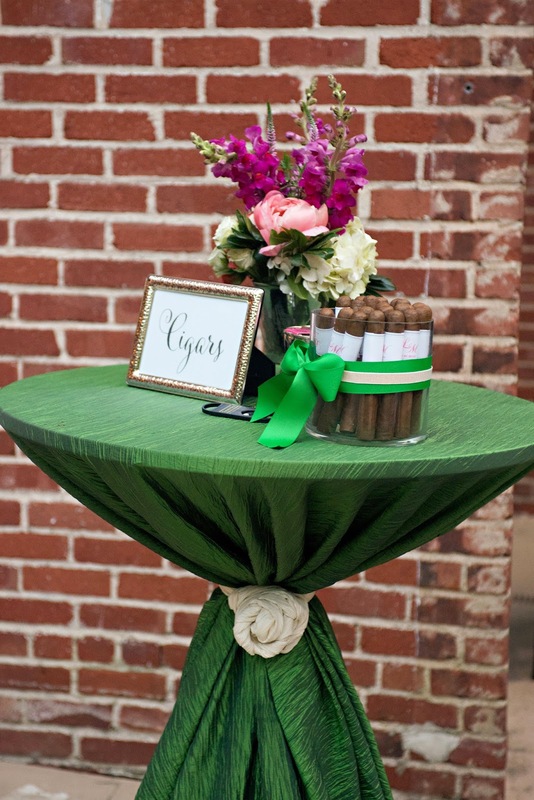 Small floral arrangements perched on tall cocktail tables. Guests cooled off with fans. 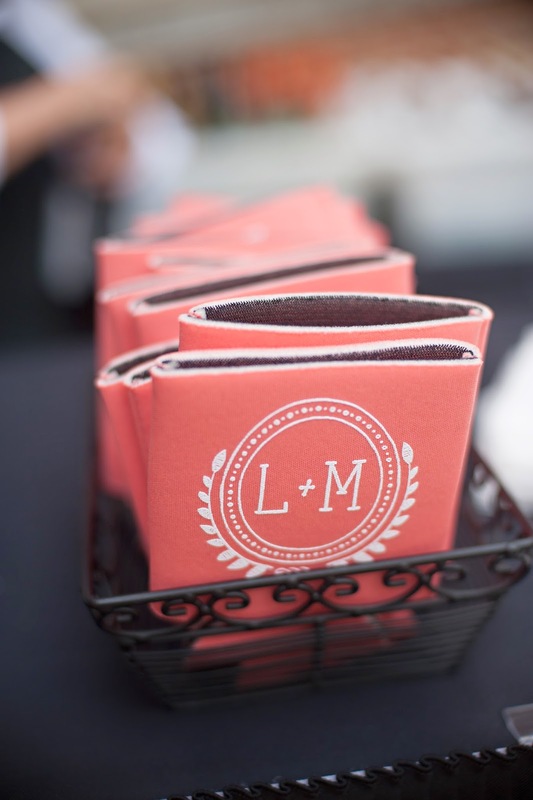 And kept their drinks cooled with monogrammed koozies. 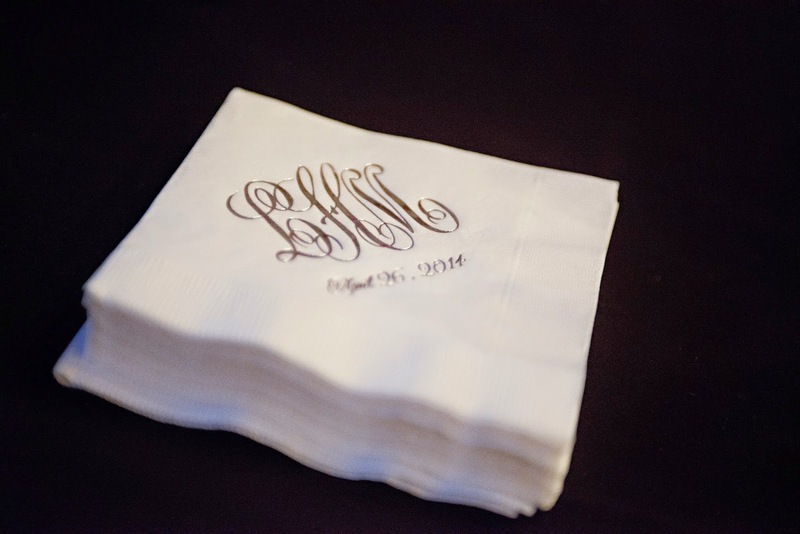 And of course used monogrammed cocktail napkins. 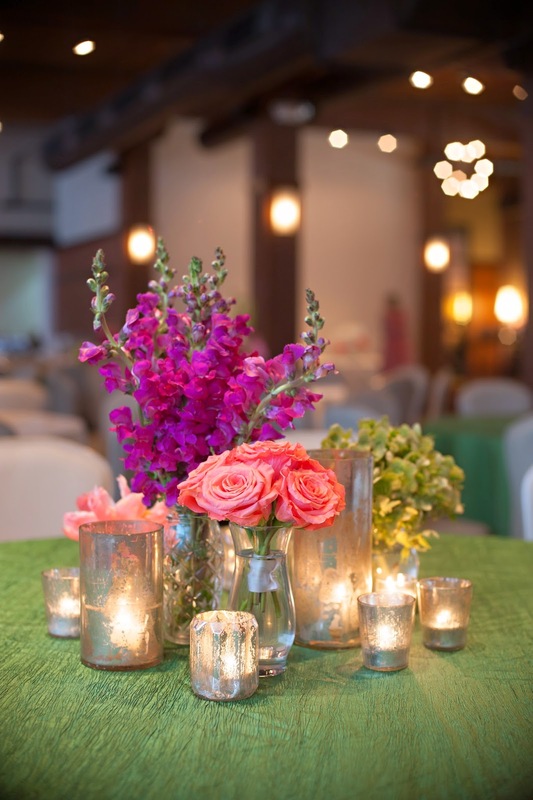 Once inside, the tables looked gorgeous with flowers and candlelight. Did I mention the flowers? Because they were my favorite part! 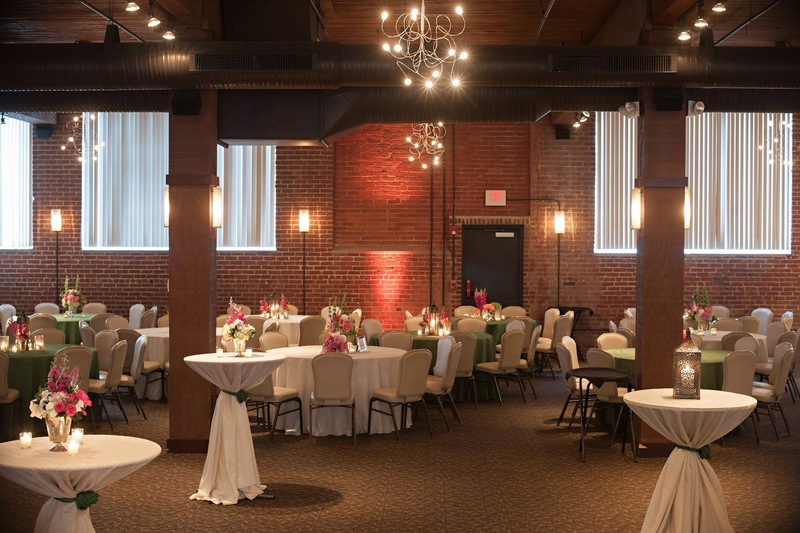 Lynette from Bloom-Room is amazing and I'm thrilled to be using Bloom-Room for an upcoming fall wedding. These pew arrangements brightened up the ceremony. 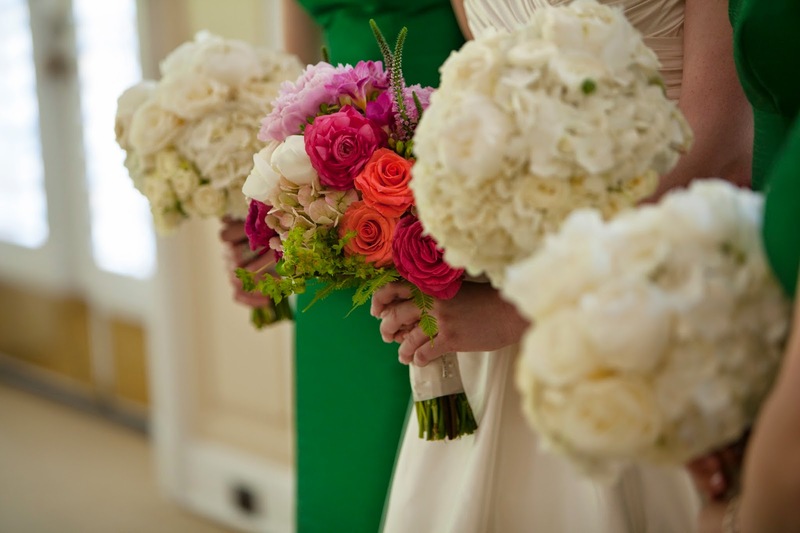 I loved the classic bridal and bridesmaid bouquets. 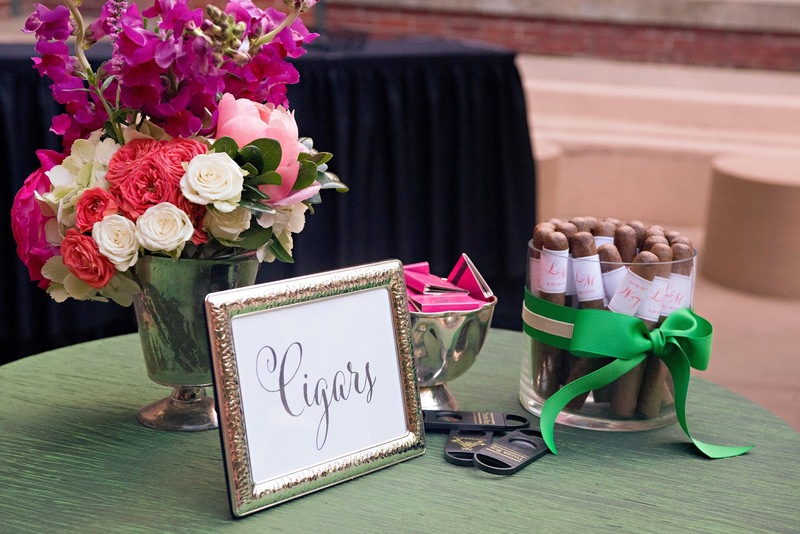 For the reception, there were three different styles of table arrangements. There were votives and bud vases. And a single large arrangement. After dinner, guests got to cut into these beauties made by Angela's Sugar Shack. 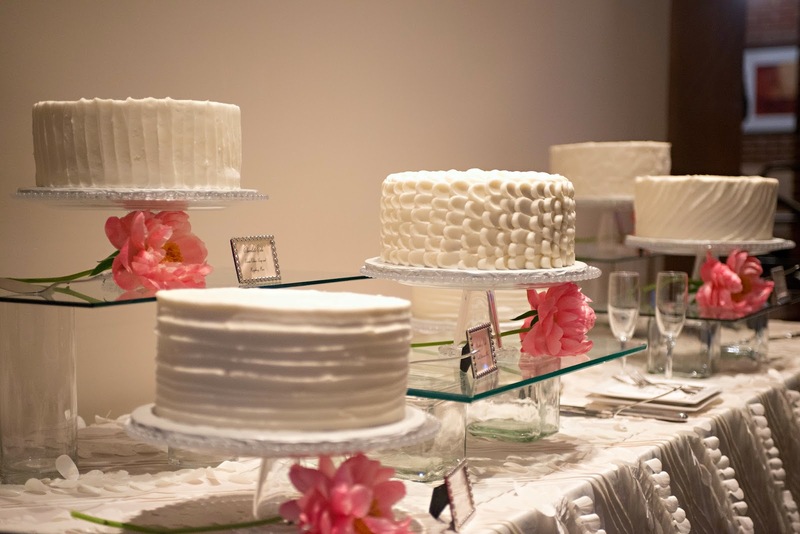 Instead of one cake, Laura-Nelle wanted five different small cakes, each with a different textured butter cream and different flavor. they were simple but gorgeous! 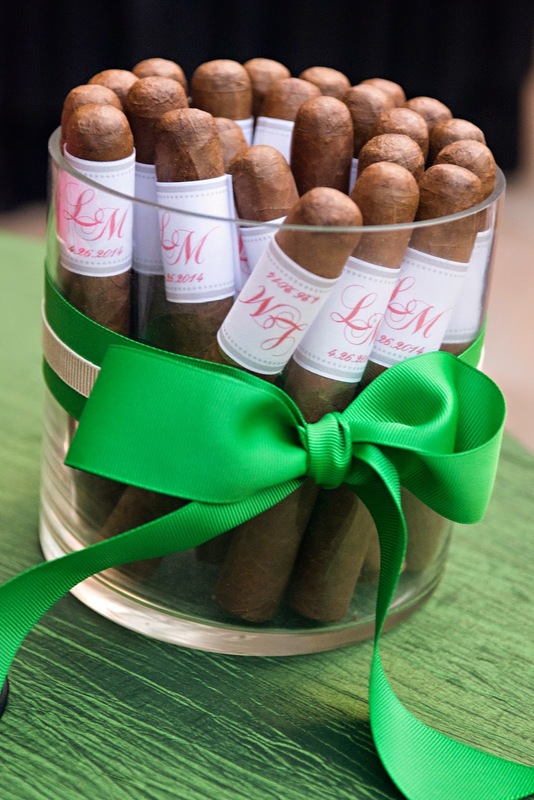 After dinner the men enjoyed cigars. 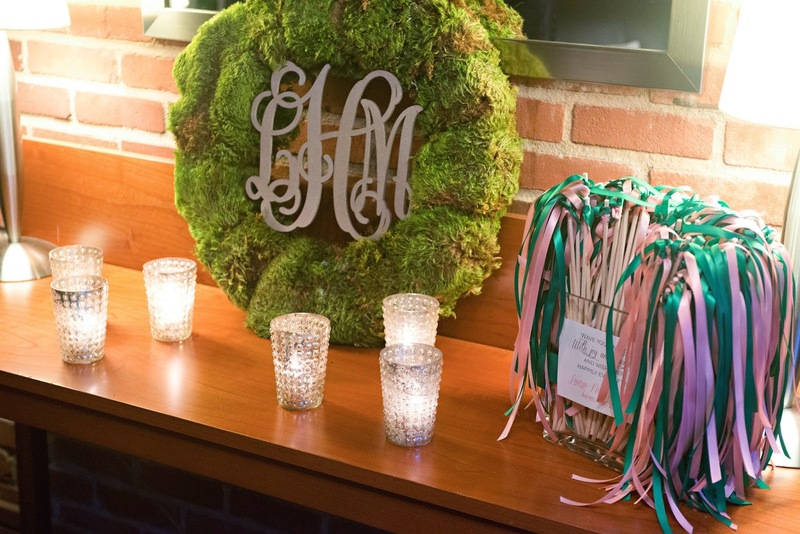 Monogrammed of course! 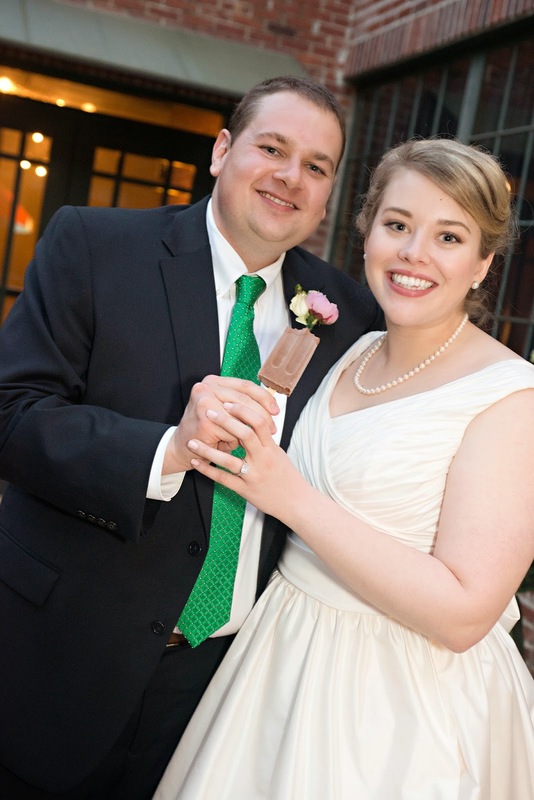 Oh, and there were gourmet popsicles from the one and only King of Pops! 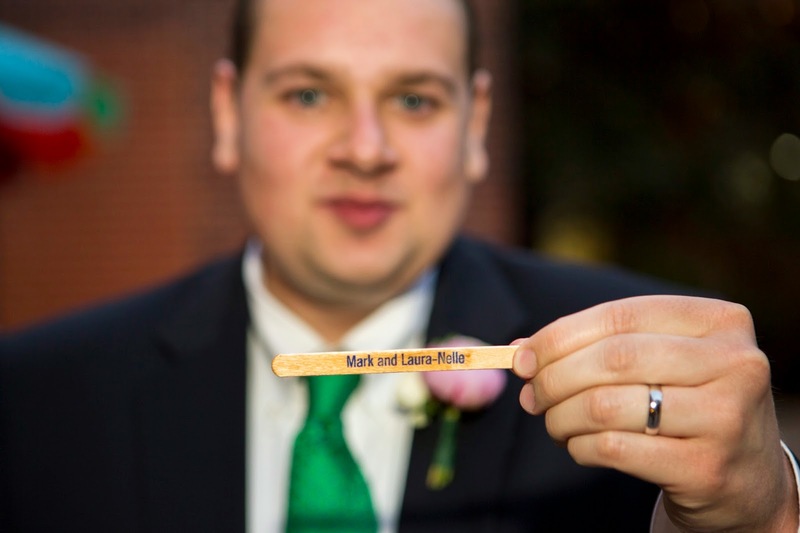 With their names on the popsicle sticks! 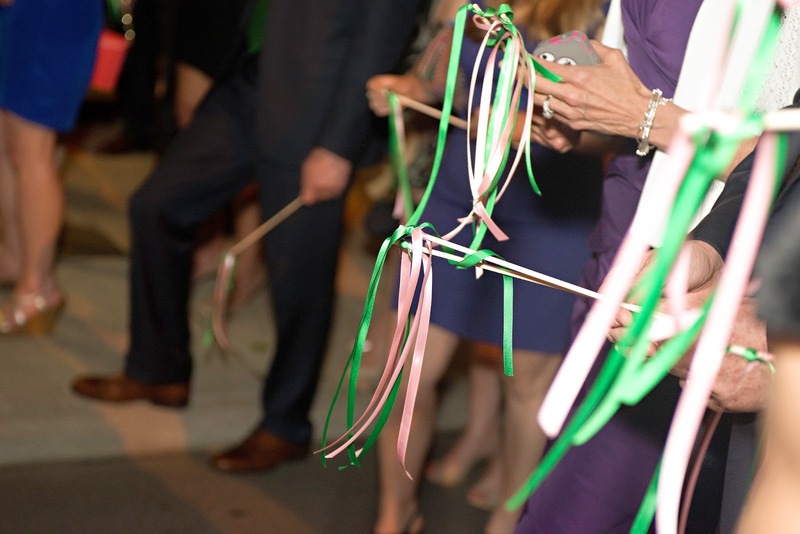 To send the happy couple off, guests waved pink and green ribbon wands. 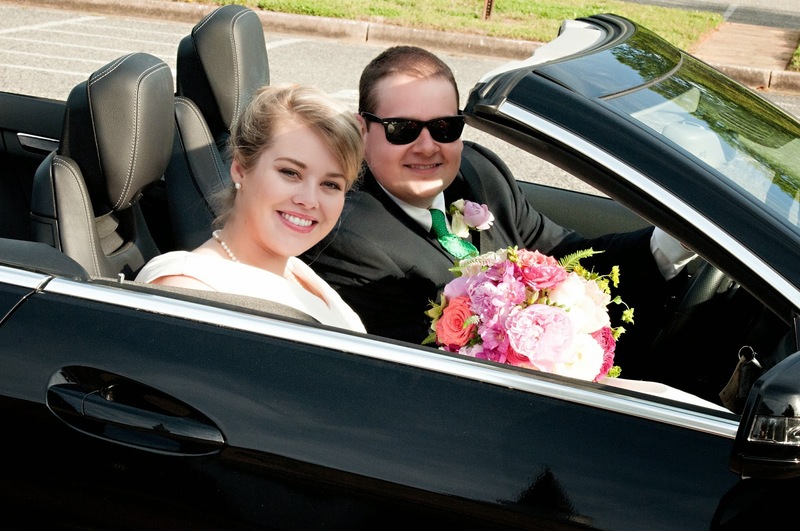 I loved working with this sweet couple. 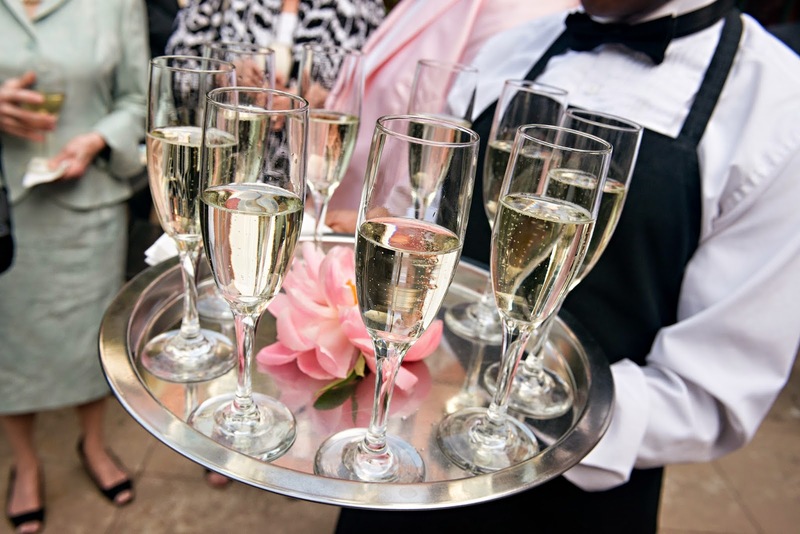 Congratulations and a happy, happy life to you both! Oh, pretty! 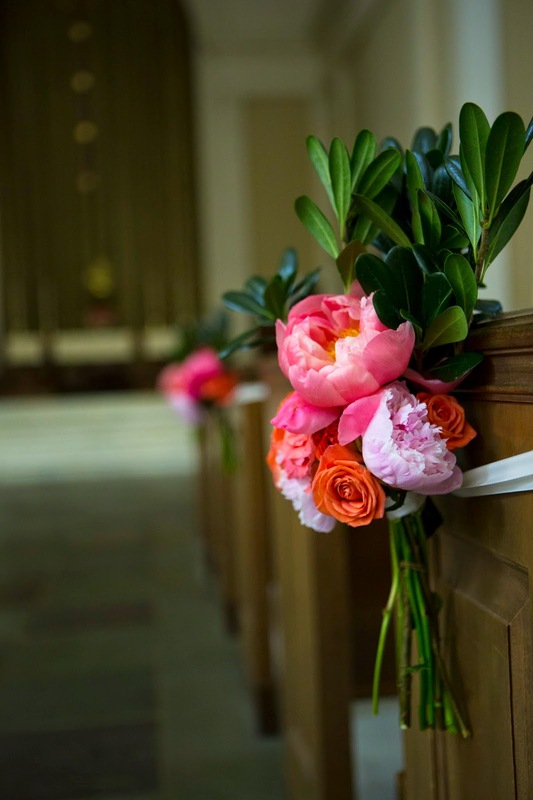 I just love peonies, and you used them well in this wedding. 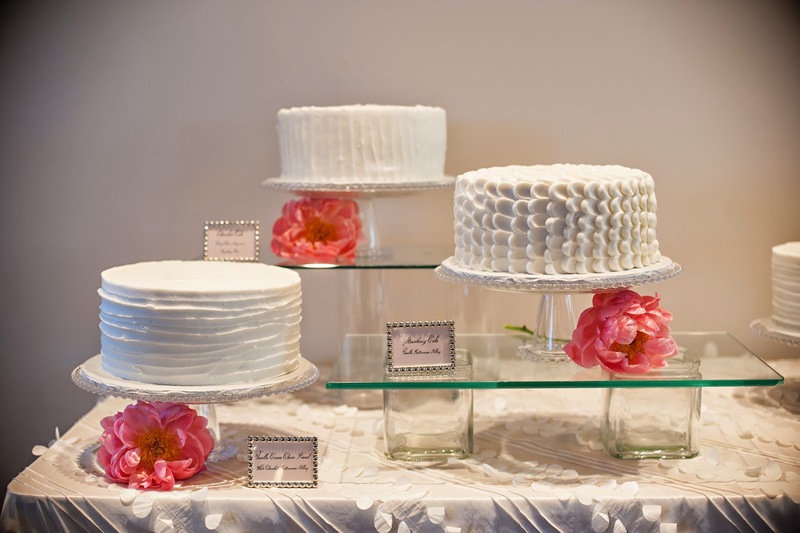 That multi-cake display is gorgeous too...makes me want to replicate it for something. Now I just need to figure out what! Beautiful wedding! 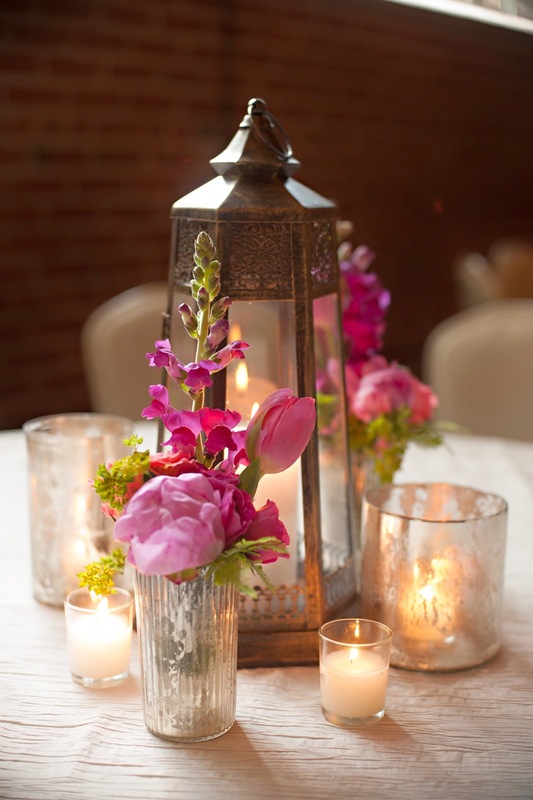 I love the different centerpieces - especially the mercury glass votives!